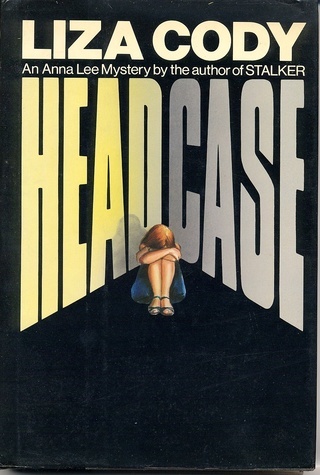 LIZA CODY - The Anna Lee series: Dupe, Head Case, Bad Company, Stalker, Under Contract and Backhand. The first book in its first edition: exciting times. It got even more exciting when the book won the CWA's John Creasey award for best first novel and was an Edgar nominee for Best Novel. After DUPE my editor asked, OK, what's next? I hadn't given it a moment's thought. Portions of this book were set in the area of England I lived in when I wrote it. This was the first story the film company adapted for TV. This book was the first time I drew on my experiences in the music industry. In a way it prefigured GIMME MORE. It was nominated for a CWA Dagger in 1987. Anna got to go to Florida in this book - an eye-opening experience for her. This novel too was nominated for a Best Novel Edgar. "Electric with suspense, fast and funny"
"...headstrong, volatile, aggressively independent, street-sharp, witty, soft and beguiling..."
"BACKHAND is another wonderful book with all of Liza Cody's hallmarks: spare prose, lively dialogue, and a beautiful sense of time." "Add Liza Cody's name to that remarkably long list of British women who seem to have a special flair for turning out stylish, literate mysteries. DUPE deserves to be a winner." "Anna Lee is alert as usual [and] it is all described with chilling, convincing detail"
"Loud hurrahs... story wonderfully alive, truly tense, dialogue sharp and accurate!" "A delightful creation in the round, Anna and her ambience are as buoyant as ever." The Anna Lee series: Dupe, Head Case, Bad Company, Stalker, Under Contract and Backhand. At the very beginning all I wanted to do was to avoid my freezing, uninsulated studio, and look busy by the fire. I hadn't read a lot of detective fiction - just Raymond Chandler, Dashiell Hammett and Ross McDonald - but I'd enjoyed the pace and the writing. I did, however, have very serious doubts about their views of women. On top of that part of the attraction was the US itself, which seemed like an exotic location where gunplay and casual violence were plausible; not at all like England which breeds a different kind of nastiness altogether. It made me wonder what would happen to an ordinary, competent English woman who happened to be a detective; someone who went unarmed, used the Yellow Pages a lot and got hurt when she was hit. So I started small: I fitted an ex-police woman, Anna Lee, into a small detective agency on Kensington High Street and gave her an unimportant case. Then, sort of like a reader, I waited to see what happened. I'm a feminist and I tend to believe that ordinary, competent women can change the world if they want to. But back in the late '70s, early '80s it was as if they had to wait for male permission. Anna was a woman who was somewhat damaged by living and working in a man's world; she probably wouldn't have called herself a feminist - she would've just worked twice as hard and tried to be twice as good as the guys in order to be thought of as not quite equal. So the book, Dupe, as it developed, was never intended as a polemic. But it was intended to be a feminist story: to show the slights, insults and restrictions that ordinary, competent, intelligent women faced every day, especially those who worked in what at the time was seen as a man's world - a detective agency.